Meet CB! CB is named for the freeze brand on his right hip which resembles a “C lazy B”. 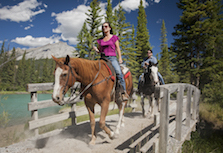 CB joined the Banff Trail Riders team with some pretty cool training behind him. 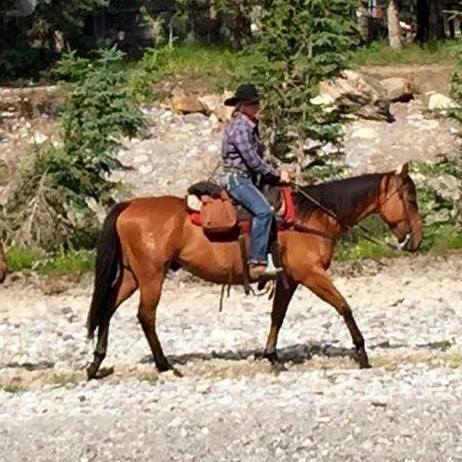 Although he just wasn’t cut out to make it to the top of this athletic career, he is enjoying our relaxing pace of work as a trail horse. When asked properly, he will gladly show off his special moves! CB has now been upgraded to the guest string and is thoroughly enjoying his new job.